There are over 200 species of Gladioli, mostly growing in southern and tropical Africa, and also in Madagascar, the Middle East and Europe. Most of the Gladioli grown in UK gardens come originally from southern African plants, where a wide variety of hybrids and varieties are available. Winter growing, producing flowers in spring and early summer – the corms of these plants need to dry out in summer after flowering, and start to grow again in autumn. Bulbs are generally planted at this time. 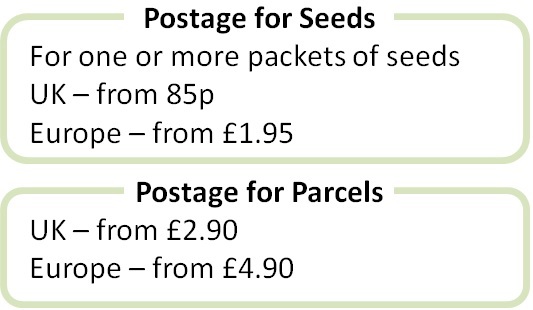 The seeds of these plants germinate better in cooler temperatures (eg 15°C) and are generally sown in the autumn . Many of these plants are half hardy and need protecting against hard frosts, but not all. Some, such as the Whistling Jack, have naturalised in warmer parts of the UK, such as Cornwall. Summer growing, producing flowers in late summer/autumn – the plants die down in the winter, and the corms are lifted in autumn or can be left in the soil over winter in warmer parts of the UK. Bulbs are generally planted in the spring. The seeds of these plants germinate across a wide temperature range (15-25°C) and can be sown at most times of year, most commonly in the spring. Original species of Gladioli can show much variety in flower colour. 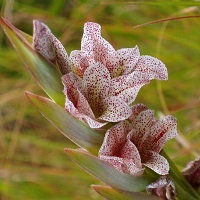 This can make them tricky to identify and plants grown from seed can flower in a range of quite different colours. By division: Mature plants have cormlets that can be separated from the mature corms and grown on in pots until big enough to plant in the final position. Separate corms when the plant is dormant. By seed: Gladioli are easy to raise from seed. They are best sown in free draining seed compost at a depth of 3mm and kept at 10-15°C for winter growing species and 15-25°C for summer growing species. They seem to be tolerant of wide variations in germination temperature. Germination typically takes 4-6 weeks. Seedlings need to be potted on and then grown through a second season before planting in the final position or into pots. Flowering should start in the second or third season. Gladioli prefer sun and light well drained soil. Some species prefer moister conditions. The plants respond well to regular feeding when growing and flowering.